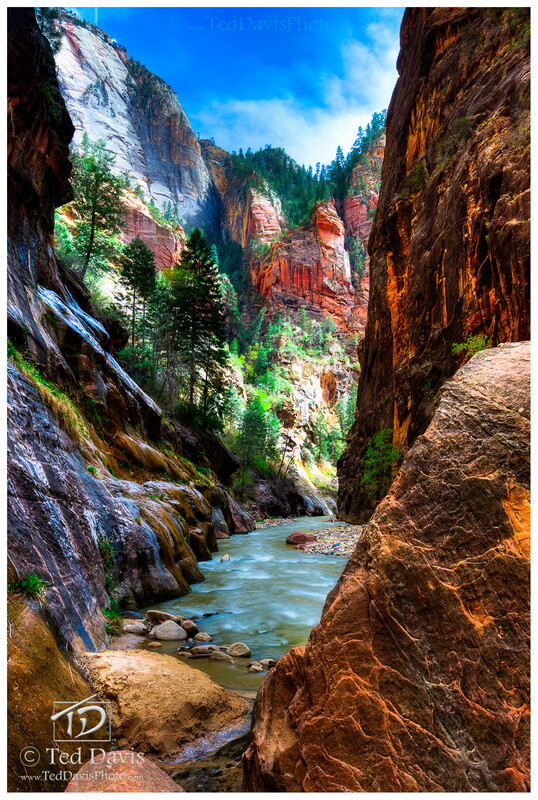 The sun lighting up The Narrows in Zion National Park. The view was so stunning it was almost overwhelming. The detail of the orange rocks, the differing shades of green along the canyon as the clouds obstructed and revealed the canyon to the light, and the tinted blue river as it meandered through millions of years of silt, rock and sandstone. It was all I could do to capture this shot. Photo © copyright by Ted Davis.